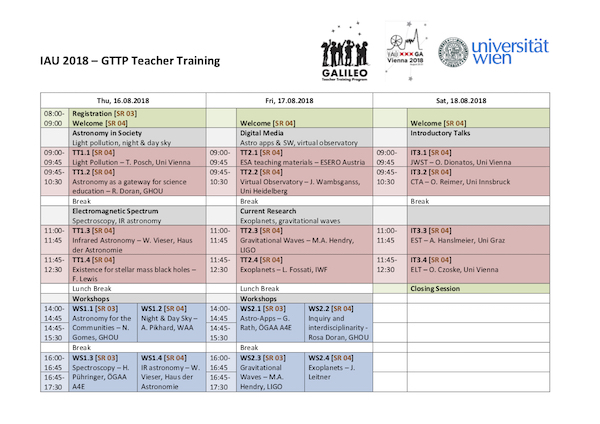 From Thursday 16th to Saturday 18th of August 2018, a teacher training for secondary level teachers will be offered shortly before the General Assembly of the International Astronomical Union. During this teacher training, four topics will be introduced in teaser talks by scientists and teachers will work on materials in several workshop sessions. I am actively participating in this school and my contribution will focus on the development and future of infrared space astronomical facilities and in particular on James Webb Space Telescope.